A list of organizations that provide opportunities for both service and civil engagement while studying at MSOE. CAC is a nationwide collaboration of college students, faculty, and staff dedicated to eliminating cancer by working to implement the programs and mission of the American Cancer Society. EWH is a student organization that inspires, educates, and empowers the bioengineering community to improve healthcare delivery in the developing world. EWH offers a variety of ways for engineering students to apply their knowledge toward helping patients of hospitals and clinics in developing nations through group events and community outreach. EWB-MSOE is a student chapter of Engineers Without Borders - USA (EWB-USA) a nonprofit humanitarian engineering organization whose mission is to build a better world through engineering projects that empower communities to meet their basic human needs. EWB-USA’s highly skilled volunteers work with communities to find appropriate solutions for their infrastructure needs. With the assistance of professional engineers from the EWB - Wisconsin Professional Partners Chapter, EWB-MSOE students partner with the municipality of Joyabaj, Guatemala in the design and implementation of development projects that have been identified and prioritized by the municipal planning office. Examples of past projects include schools, water systems, and vehicle and pedestrian bridges that ensure the rural communities will not be cut off from education, healthcare, and economic development. The majority of each year is spent assessing, designing, planning, and fundraising to support at least one implementation trip generally in the spring. To learn more about our projects, click here. GB is a non-profit organization that is a student lead movement going into Central American rural communities to help them become sustainable on their own again. We do this by empowering members by using our resources, education, and the GB Holistic Model to help restore these rural communities. 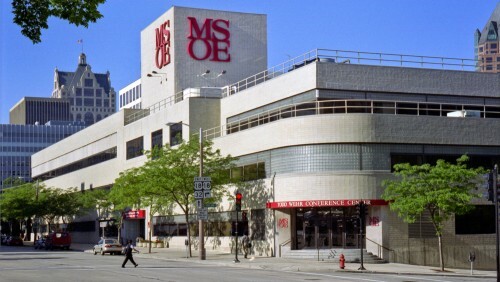 MSOE GB has 4 of the 9 brigades on campus: Medical/Dental, Public Health, Water, and Business. GB is open to all students regardless of major. Habitat for Humanity is an international organization with a mission to bring people together to build homes, communities, and hope. Our student chapter participates in many volunteer opportunities throughout the community, some of which include helping at soup kitchens, volunteering at the HFH ReStore, and helping build homes at varying stages of completion. MSOE Love Your Melon Campus Crew raises awareness and funds for childhood cancer. In collaboration with Love Your Melon the Milwaukee School of Engineering Campus Crew organizes events to spread the Love Your Melon mission of giving a hat to every child battling cancer in America. The MSOE Campus Crew is dedicated to raising awareness and funds for childhood cancer research and to personally give hats to children fighting cancer. The purpose of this Organization is to connect/support PLTW and PLTW Alumni students in the community, promote STEM education, and provide a creative engineering outlet for MSOE students.